Many of the books printed last century or early this century may be as valuable as sourcebooks of the time in which they were written as they are as studies of Egypt. Many of them are factually outdated, but they show the state of knowledge in their own time periods, as well as attitudes and impressions from the past. Baikie, James, The Story of the Pharaohs (A7 C Black, 1917). 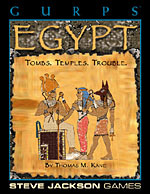 Although this book can be difficult to locate, it provides a comprehensive and highly readable history of ancient Egypt. Breasted, James Henry, A History of the Ancient Egyptians (Charles Scribner's Sons, 1908). Breasted was among the most eminent of the Victorian Egyptologists. Budge, Wallis, Egypt (Williams and Norgate, 1925). An extremely brief but surprisingly complete history of pharaonic Egypt. Clayton, Peter A., Chronicle of the Pharaohs (Thames and Hudson, 1994). A richly-illustrated overview of the reigns of every known pharaoh. Franzero, Carlo Maria, The Life and Times of Cleopatra (Alvin Redman, 1951). An interesting history of Egypt's last queen offering a detailed picture of life in late Ptolemaic Egypt, with plenty of gossip. Grimal, Nicholas, (Translated by Ian Shaw), A History of Ancient Egypt (Blackwell Press, 1992). An account of pharaonic history and Egyptian culture. Since this book was published quite recently it should be comparatively easy to find. Hoffman, Michael A., Egypt Before the Pharaohs (Barnes & Noble, 1993). Egyptian prehistory from 50,000 B.C. to the end of the IInd Dynasty. Hoving, Thomas, Tutankhamen, The Untold Story (Simon and Schuster, 1978). A thorough account of how Carter discovered King Tut's tomb. This book also presents a useful portrait of the Egyptological community in the early 20th century. James, Peter and Thorpe, Nick, Ancient Inventions (Ballantine Books, 1994). Pre-Columbian technology from around the world. Karenga, Maulana, Selections From the Husia: Sacred Wisdom of Ancient Egypt (University of Sankore Press, 1990). Karenga, Maulana, The Book of Coming Forth By Day (University of Sankore Press, 1990). An attempt to put Egyptian ethical traditions into modern terms. Lewis, Spencer H., Rosicrucian Questions and Answers With Complete History of the Rosicrucian Order (Supreme Grand Lodge of AMORC Printing and Publishing Department, 1929). A detailed discussion of the mythical Egyptian influence on the Rosicrucians. Lewis lists well-known figures from throughout history who have supposedly been influenced by Egyptian mysticism. Mahaffy, J.P., The Empire of the Ptolemies (Macmillan and Company, 1895). Milne, J. Grafton, A History of Egypt Under Roman Rule (Charles Scribner's Sons, 1898). Petrie, W.M. Flinders, A History of Egypt, volume 1 (Methuen and Company, 1894). This three-volume series (volumes two and three are also available) offers a great deal of detail on ancient Egypt and on the archaeological sources of our knowledge. They've been reprinted numerous times, and many libraries have copies. Reeves, Nicholas and Wilkinson, Richard H., The Complete Valley of the Kings (Thames and Hudson, 1996). The tomb-by-tomb story (both historical and archaeological) of each tomb in the royal cemetery west of Thebes, with numerous photographs and cutaway drawings of each tomb. An excellent guide for dungeon-designers. Robin, Gay, Women in Ancient Egypt (Harvard University Press, 1993). Includes some unorthodox interpretations. Spence, Lewis, Myths and Legends of Ancient Egypt (David D. Nickerson & Company, 1910; reprinted as Egypt in the Myths and Legends Series, 1985, Bracken Books). In addition to telling the basic stories of Egyptian mythology, this book has a great number of fairy tales and pseudo-historical anecdotes from the reigns of different pharaohs. The historical analysis is untrustworthy. Stone, Merlin, When God Was a Woman (Harcourt Brace Jovanovich, 1976). This book offers a feminist perspective on Egyptian religion and a useful overview of myths and rituals in the era around 2500 B.C. Stone also reminds readers how myths changed over time and how the prejudices of modern archaeologists have colored those accounts. Some theories here are controversial. Tyldesley, Joyce, Hatchepsut: The Female Pharaoh (Penguin Books, 1996). Weigall, Arthur, A History of The Pharaohs, Volume I and Volume II (Thornton Butterworth, 1925). Weigall provides a great deal of detail about the history of the Pharaohs, largely based on personal research. Weigall's system of dates is highly questionable. Welsby, Derek A., The Kingdom of Kush (British Museum Press, 1996). Somewhat difficult stylistically, but a good study of Nubian history before and after the XXVth Dynasty. Yates, Francis A., The Rosicrucian Enlightenment (Routledge and Kegan Paul, 1972). Cleopatra Elizabeth Taylor, Richard Burton, Rex Harrison. One of the most epic of the epic pictures about Egypt. The Egyptian Gene Tierney, Peter Ustinov. Based (loosely) on the story of Sinue, set in the reign of Akhenaten. The Ten Commandments Charlton Heston, Yul Brenner. Mostly concerned with the story of Moses, but one of the few epic depictions of ancient Egypt on the silver screen.